A portion of Harvard Avenue was closed Thursday morning after a car hit a pole and a fire hydrant before flipping upside down. 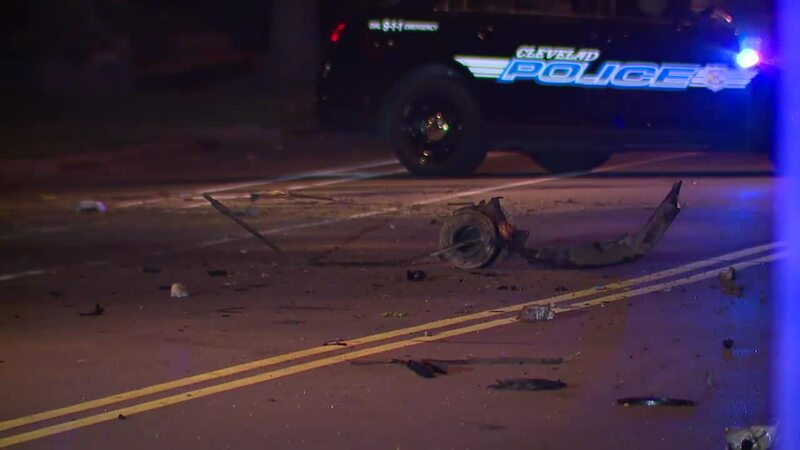 The crash happened at around 2:04 a.m. on Harvard Avenue between E. 116th Street and Martin Luther King Drive. The car was heading westbound on Harvard Avenue. Police believe the car was going above the 35 mph speed limit. The car hit a pole, a fire hydrant, a parked car and then a tree. After the car struck the tree, it flipped upside down. A fire hydrant was lifted from the ground after the car slammed into it. Once it came to a stop, the car caught on fire. The Cleveland Fire Department and Cleveland police both confirmed the driver was alert when transported to the hospital. No further information was released on the driver's condition.